Beautifully wrapped, ingeniously disguised packaging for maximum fun. We have put a lot of time and effort into creating effective methods for delivering glitter and/or confetti in a covert way that results in maximum surprise. Some of the products we offer here at Funky Delivery offer the option for Glitter Packaging. What this means is that we will carefully gift wrap the item in way so that when it is opened, colorful glitter and/or confetti will spill out everywhere – creating a nice sparkly mess. 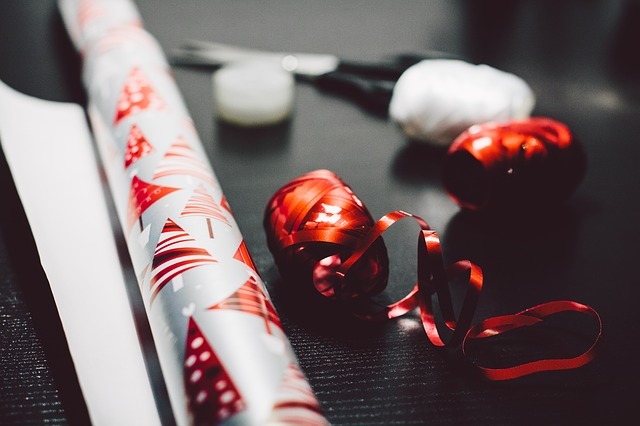 Our Glitter Packaging option usually allows you to select a type of wrapping paper you would like us to use, such as Christmas, Birthday or Classy. You can also use the special requests area when ordering to let us know if you want a specific type or color of glitter or confetti. We aim to please. Choose Glitter Packaging and request Birthday confetti. Whatever the item is, Glitter Packaging insures maximum surprise and frivolity.